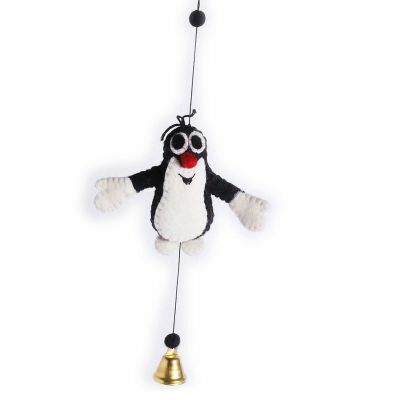 Felt mole with on a string, with a jingle bell. Size: 11 x 6 cm. Made in Nepal.